It's good to see another small car fan out there! Small Cars Only is run by "Ank," who recently started the Web site. Be sure to check out his Project Civic Hybrid: You're looking at the future of tuning here, folks! 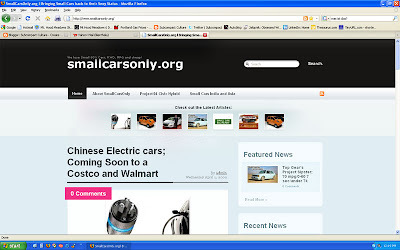 I've also added Small Cars Only to the "Great Web Sites" sidebar on the right. Check it out! I'll send you a decal when I get em made!